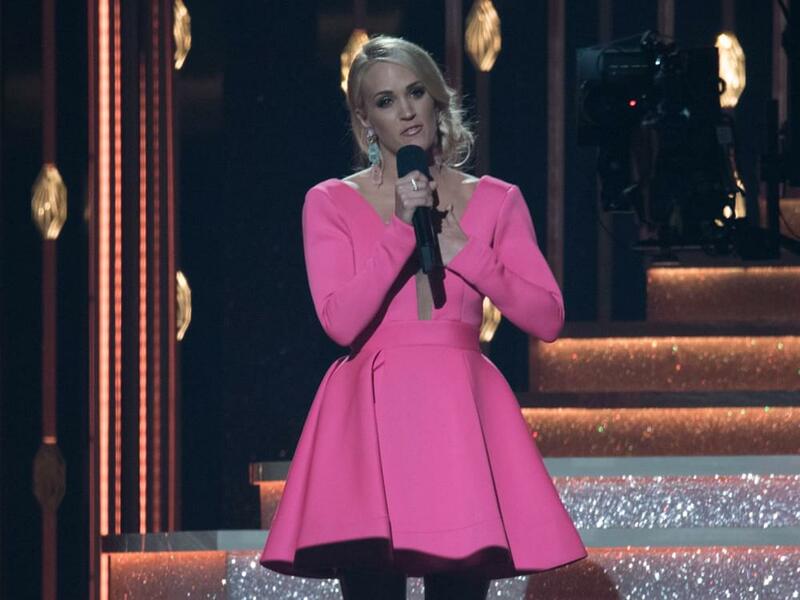 Carrie Underwood will drop her first single in more than two years as she releases “Cry Pretty” on April 11 at 6 a.m. ET. Carrie penned a note to her fan club members on April 10, revealing many of the details surrounding her new single, as well as her health. In November 2017, Carrie broke her wrist—which required surgery—and suffered a facial laceration that required numerous stitches. We’ve included some of the note’s highlights below. You can also read its entirety after the bullet points. Carrie has been in the “studio writing and singing a ton” over the last few months. Carrie is co-producing her new album with David Garcia. Carrie co-penned “Cry Pretty” with Hillary Lindsey, Liz Rose and Lori McKenna. I just wanted to say hello and share some updates with you all…lots of exciting stuff happening! First off, physically, I’m doing pretty darn good these days! My wrist is almost back to normal, about 90% there…and the docs say that last 10% will come in time. And my face has been healing pretty nicely as well. I definitely feel more like myself than I have in a while. One of the silver linings for me in this healing process is the time I’ve gotten to spend with Mike and Isaiah. I’ve been calling it “forced relaxation.” Sometimes I think things happen in order to make us slow down. It also means I’ve been home to support my favorite hockey player coming out of retirement! I hope you’re all ready for more silly posts of me at Preds’ playoff games! One more run for the Cup! Go Preds! And speaking of the Predators, I would definitely like to thank you all for making “The Champion,” such a success (see what I did there?)! I’ve been so touched seeing how people around the world have been inspired by it and have shared their personal “champion” stories and photos and videos. The song has become so meaningful to so many people, myself included, in ways I never could have imagined when I wrote it last year. I’ve always been a fan of Ludacris and getting to work with him has made me a die-hard fan for life. What an incredible talent! You guys will definitely have to help me out by singing his part when we play it on the road! The other thing I’ve been up to over the past few months is of course making new music. I’ve been in the studio writing and singing a TON, but I’ve also been able to be creative in a way that I’ve never been before, which has been very fulfilling and empowering. While I was writing last year, I met a writer/producer named David Garcia. We hit it off in a big way and I’m excited to say that we are co-producing my album together. I’ve always been lucky to have a voice in the writing and recording process, but this is the first time I am this involved in the production of my music. It’s been challenging and incredibly rewarding to be involved in every aspect from start to finish. David has been an amazing teacher and partner, and I’m so proud of what we have created. The first single is a song I love so much and can’t wait to share with you. It’s called “Cry Pretty” and I wrote it with three incredible women: Hillary Lindsey, Liz Rose, and Lori McKenna, who also write under the name Love Junkies. I joined one of their writing sessions last year to see if we could come up with some magic…and we did! The title refers to when emotions take over and you just can’t hold them back. It really speaks to a lot of things that have happened in the past year and I hope when you hear it, you can relate those feelings to those times in your life. It’s emotional. It’s real. And it ROCKS! It comes out TOMORROW at 6am ET, and I’m so excited I’ll be performing it live on the ACM Awards this weekend, so I hope you’ll all tune in to see it! Needless to say, I am beyond excited for this new album and everything that comes with it…more on that soon. Of course, we’re already talking about a tour, but that’s a blog for another day! Thank you all so much for your love and support this year and always. I feel it and I appreciate it. And I can’t wait to start this new chapter with you!